3 Bedroom Semi Detached House For Sale in Beccles for Offers Over £375,000. OUR MOTIVATED VENDOR WHO HAS FOUND, INVITES YOU TO THEIR OPEN HOUSE EVENT ON SATURDAY 4TH MAY, PLEASE CALL 01502 714250 FOR MORE DETAILS... A stunning finish, beautiful character and a generous plot, perfectly positioned on one of Beccles most sought after roads Offering spacious proportions throughout, this period home is an ideal example of a character home sympathetically extended to provide modern proportions. Leading into a welcoming hallway, the period tiled floor is simply beautiful and offers guests an insight to some of the charming features you will find throughout this home. Boasting a traditional bay window, the family room to the front aspect is the perfect space to relax and unwind. 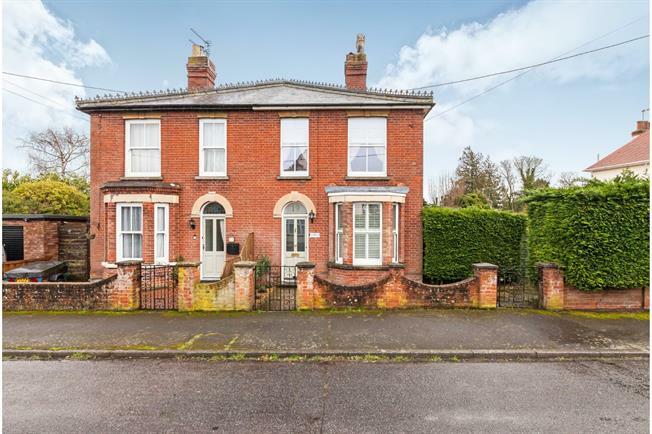 The sitting room leads from the hallway and benefits from double doors leading out to the generous gardens, ideally placed next to the well proportioned kitchen/dining room which is sure to be the social hub of this charming home. A utility room can be found to the rear and benefits from a ground floor cloakroom, essential for young families. Upstairs, all three bedrooms are a good size and lead from the landing in addition to the stunning family bathroom which features a free standing bath and shower. Outside, the garden wraps around the property offering a sunny aspect all day. The driveway allows space for off-road parking and space to build a garage if required (stp). Overall, a simply beautiful period home in the perfect location, early viewing is highly recommended.